Spend $50 (before tax& shipping) and get the chic Salina Lunch Tote at 50% off! Salina Lunch Tote: This tote is so stylish and fun you may never go out for lunch at work again! 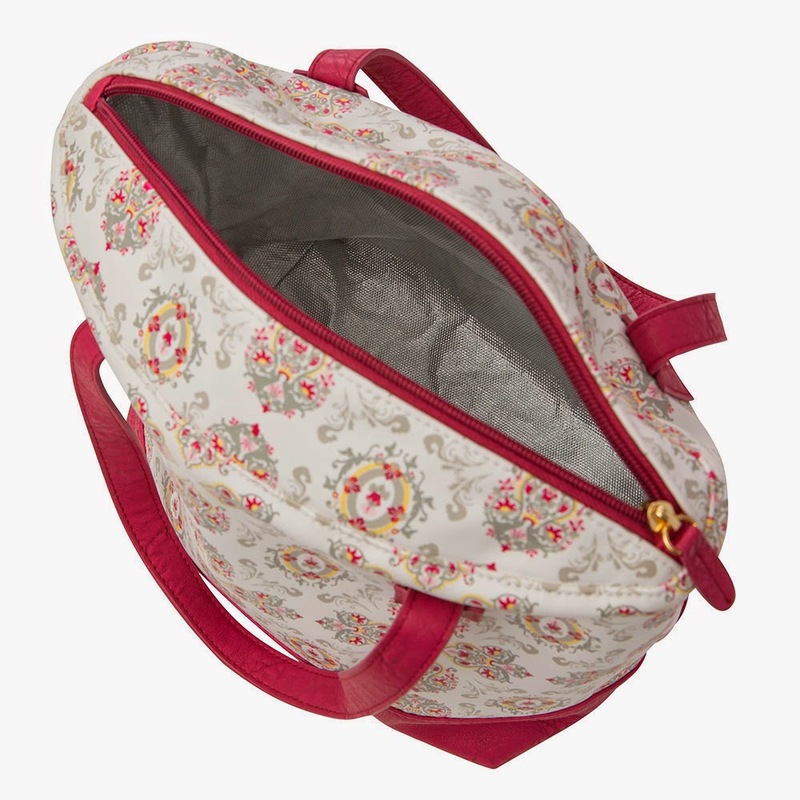 The Salina Lunch Tote features white faux leather with a custom damask print in shades of berry, grey, pink and yellow. 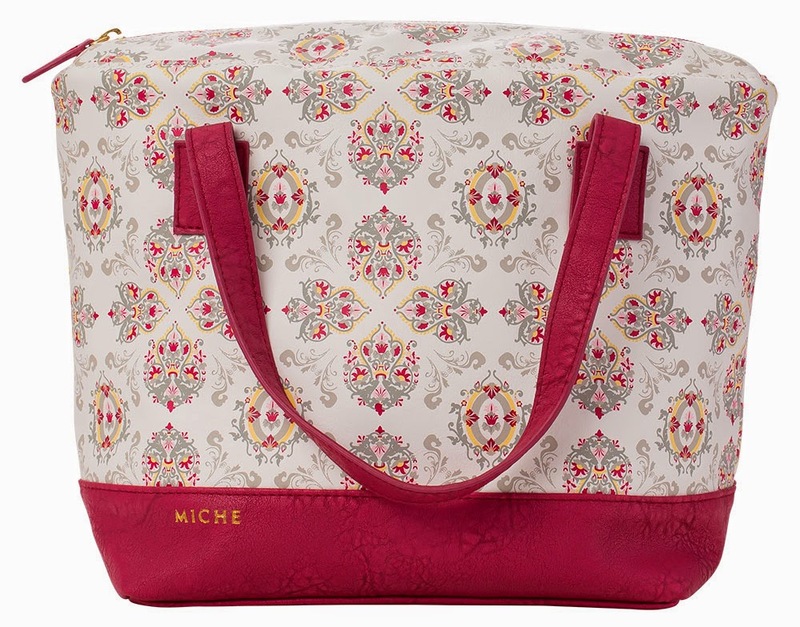 This print is unique to Miche and you won’t find it anywhere else. The look is brought together by solid-berry trim, handles, and top zipper closure along with rivet accents and gold hardware. Extra-large open interior is lined with silver insulated material that helps keep food warm or cold. Wipe clean. Tote dimensions: 9” long x 9” tall, with a 6” gusset. Handle dimensions: 16” x ¾”, with a 5 ¾” drop.